Games developer and publisher Rebellion has this week confirmed a release date for the launch of the Sniper Elite V2 Remastered edition of the popular World War II sniper game. Announcing that it will be available to play on the Xbox One, Nintendo Switch, PlayStation 4 and PC systems next month from May 14th, 2019 onwards. 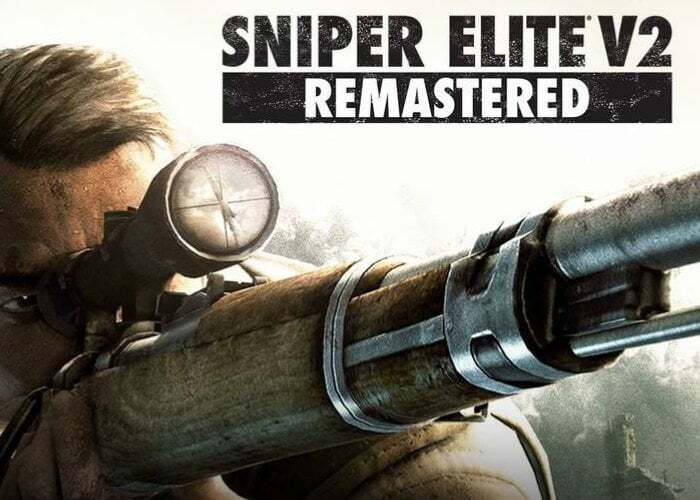 If you have already purchased the original Sniper Elite V2 game via the Steam games network you will be able to upgrade to the Sniper Elite V2 Remastered edition for $10. Check out the comparison video below released by Rebellion to see the differences you can expect from the original and the newly remastered edition but will be available next month with expanded multiplayer support for up to 16 players online or up to 8 players on Nintendo Switch. “The hotly anticipated remaster of the studio’s 2012 classic will launch on digital storefronts May 14th. Fans can pre-order the game starting today on PC and PlayStation 4, while Xbox One digital pre-orders and Nintendo Switch pre-purchases will go live later, on April 24th. Pre-ordering allows customers to take advantage of a special 10% discount on the digital edition ahead of launch. Boxed editions will also be available May 14th on PlayStation 4, Xbox One and Nintendo Switch, distributed by Sold Out. – All DLC Included – Experience the infamous “Kill Hitler” mission. Take the fight to new fronts in three new campaign levels. Hunt your foes with a variety of iconic weapons including the Lee Enfield MK III, M1D Garrand, M1 Carbine and more. – Photo Mode – Pause and step through the action frame-by-frame, position the camera, apply a filter, adjust the lighting and take stunning photos to share with the community. Including your epic X-Ray kill camera shots. – Remastered Visuals – Modernised renderer and post processing effects, enhanced level geometry, textures and particles, plus a revamped lighting system, and 4K HDR support* transports you to the front line. – New Playable Characters – For the first time, play the campaign and multiplayer modes as one of 8 new characters from Rebellion’s Zombie Army series.